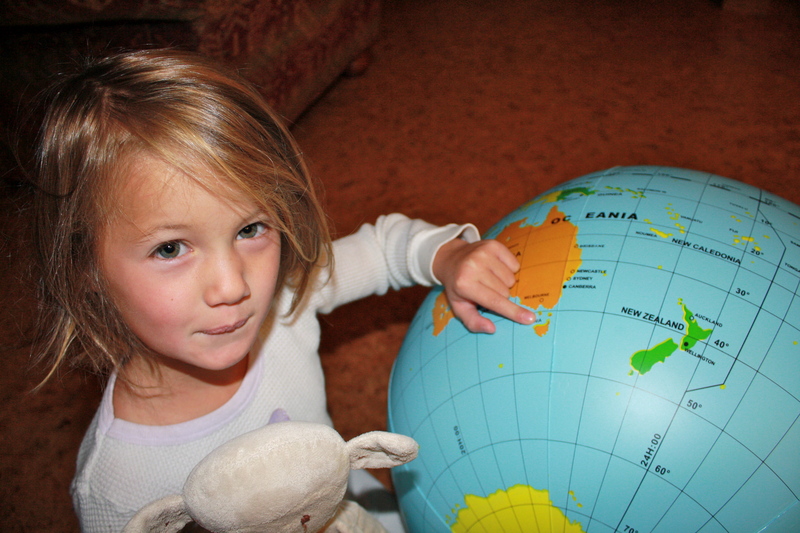 This afternoon I’m leaving for Tasmania to race in the XPD Adventure Racing World Championships. I got the call to race as part of Team Buff Thermocool when their regular female teammate had to bow out because of an injury. With a little more than a month’s notice, I’ve been training hard and I feel pretty well prepared. 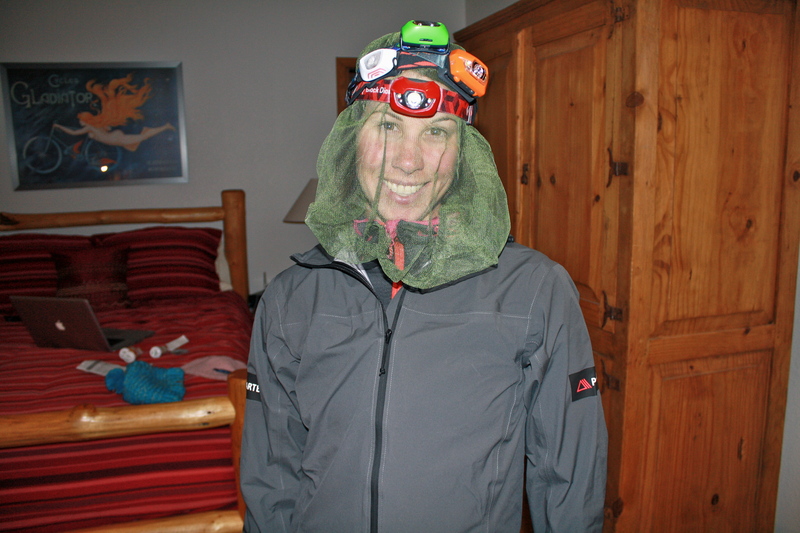 Packing for an expedition race like this is practically a race in and of itself. My gear list is below. 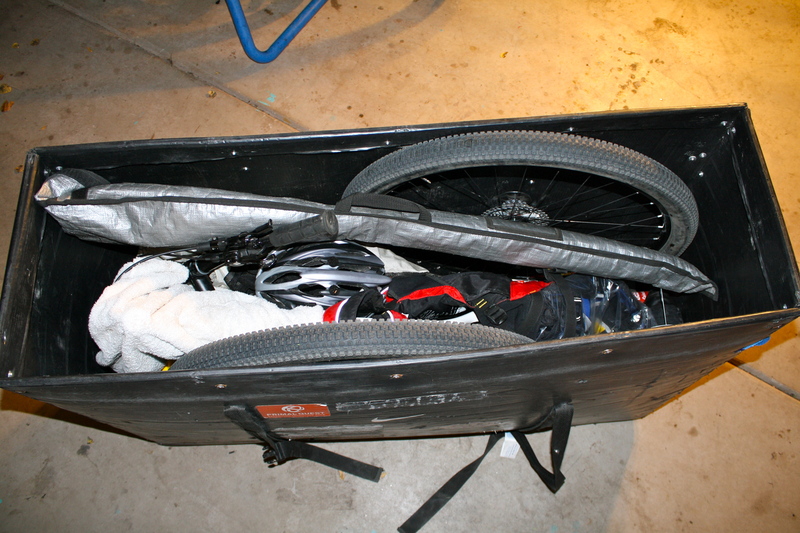 Somehow, I managed to fit it all in one huge duffel bag, one bike box and one carry-on backpack. My awesome new Polartec Neoshell jacket that weighs less than 5 ounces (also, apparently it can be really buggy in Tasmania..and dark). Ian is going to try and update this site with whatever race reports he can find online. Wish me luck and thanks for all your support! Ugh…..how I (don’t miss these packing, travel, unpacking days). Best of luck to you and your team! ….its time to ski when you get back! Safe travels & racing. 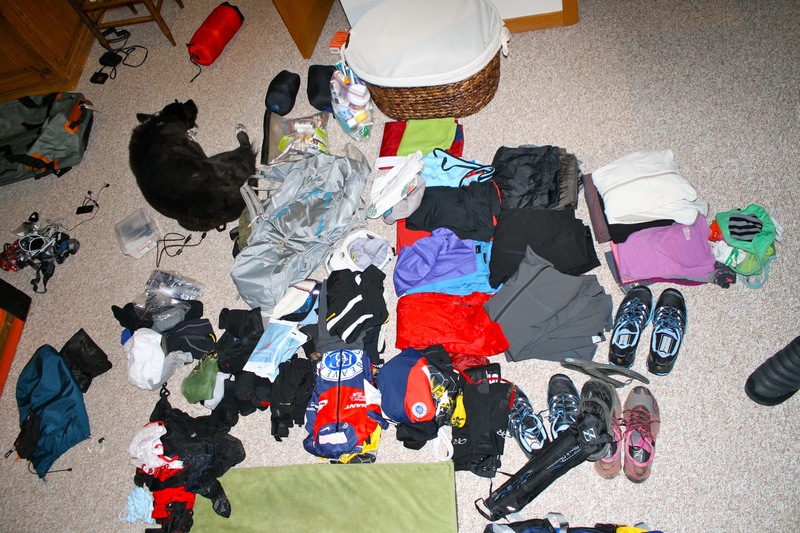 I thought packing for XTERRA Worlds was alot…. wow! I can’t imagine. It’s alot to think about. Which is more difficult you think, the packing and planning or the race itself? You are an inspiration, Sari! Where/Who made your custom neoshell anorak? Jim, the custom NeoShell was made through Polartec and seem sealed by someone in New Hampshire. Unfortunately, I don’t know much more than that.